This powdered supplement serves as a natural energy booster for cat and canine companions of all breeds and life stages. Bee pollen is often referred to as nature's perfect food and is one of the only foods on earth containing all 22 nutrients that are essential for complete and perfect health. 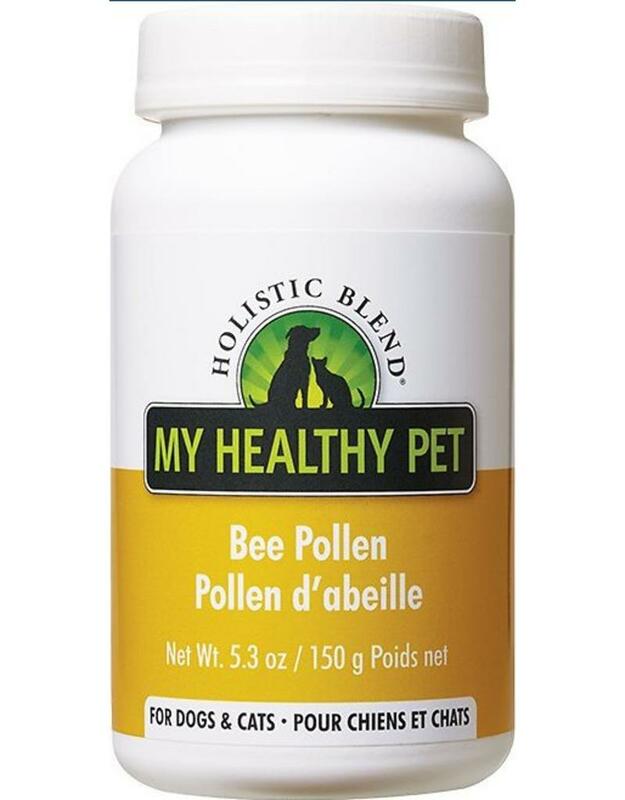 Luckily for your furry friend this supplement is made with just 100% bee pollen! As a rich dietary source of zinc, calcium, magnesium and iron and packed with 96 known nutrients, bee pollen can energize your pet, increase his intellectual capacity and close any nutritional gaps in his diet. Ingredients: 100% Pure Bee Pollen.